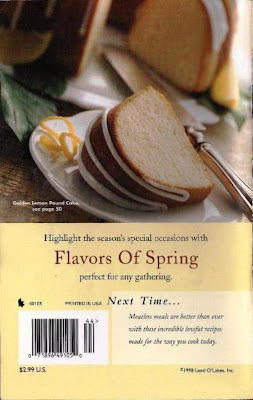 The Land O Lakes recipe collection booklet Flavors of Spring 1998 is devoted to Spring-time get-togethers, picnics, barbeques, wedding showers, graduation open house, afternoon tea, deck parties, all kinds of Spring entertaining. Of course, any of the recipes are good to share with your family and friends even without an event to plan. 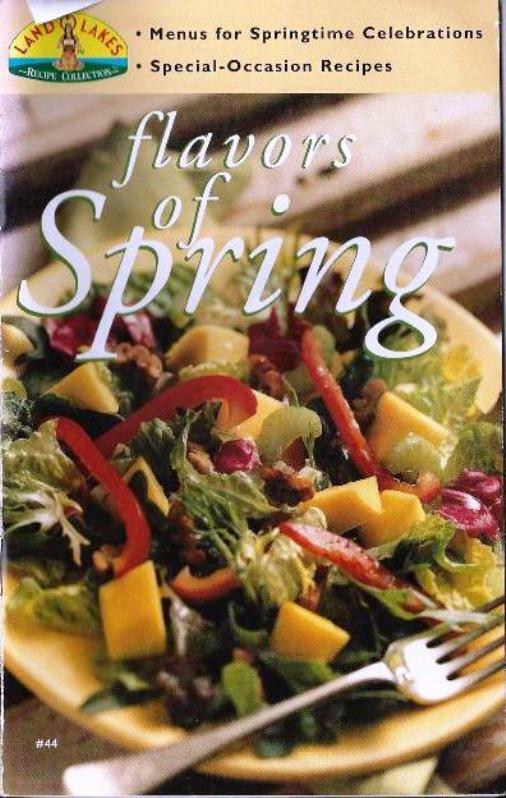 There are also suggestions for setting buffet tables and buying Spring produce. I like the layout of the booklet, which starts with menus for the occasion and then gives the recipes, with lots of beautiful photos. If you see this booklet at a book sale, I would recommend it, as I do all Land O Lakes recipes. They are our favorites for Midwestern cooking.